Keep tabs on the progress of your new home. 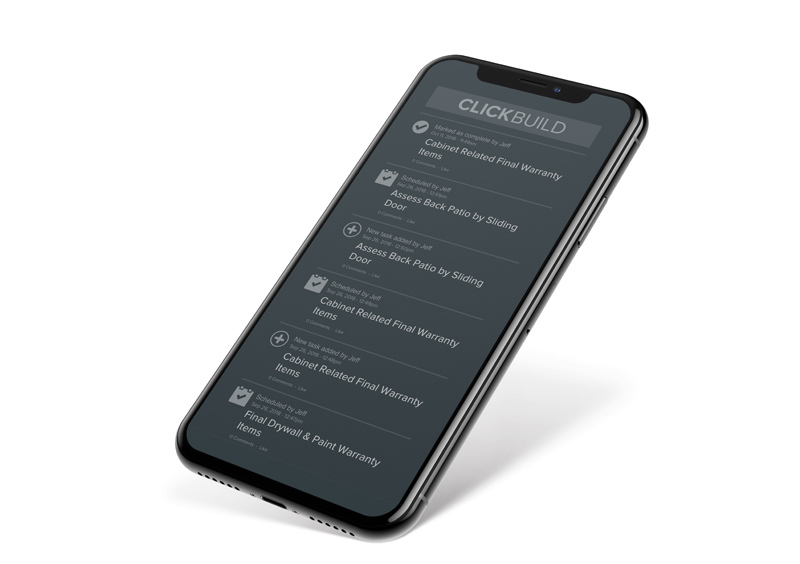 With Clickbuild, you can monitor the construction progress on your new home from anywhere. Track the major phases of construction with live updates. 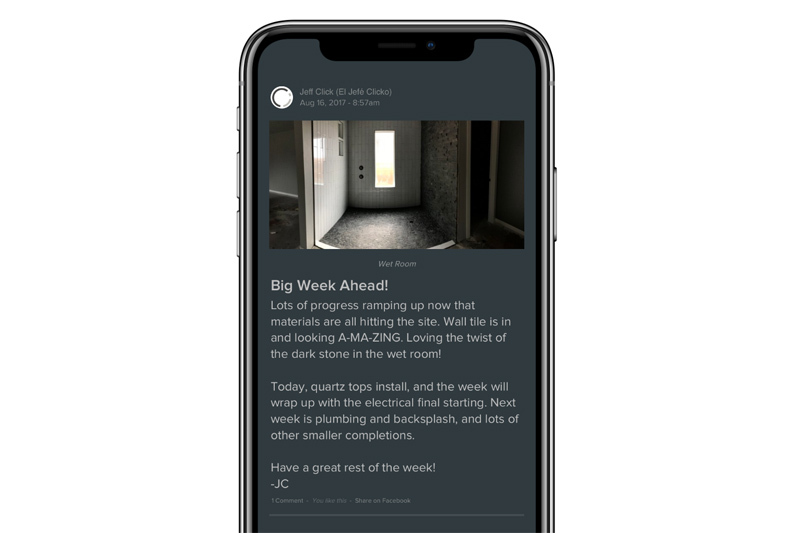 Stay connected with a timeline of progress updates posted by Jeff himself while on the job. Complete access to your project assets. Everything from your home's plans to the design notes created while collaborating with Jeff. Report & track warranty items as needed during your warranty period. Once construction is complete, you will have access to contact information for all of the trades who worked on your home.